Many studies have been published to evaluate the consequences of different post-2012 emission allocation regimes on regional mitigation costs. 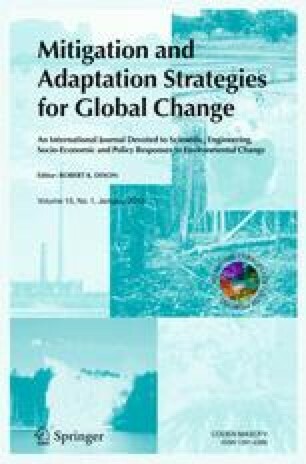 This paper goes one step further and evaluates not only mitigation costs, but also adaptation costs and climate change damages. Three post-2012 emission allocation regimes (Contraction & Convergence, Multistage and Common but differentiated convergence) and two climate targets (2°C and 3°C above the pre-industrial level) are considered. This explorative analysis shows that including these other cost categories could lead to different perspectives on the outcomes of allocation regimes. Up to 2050, the poorest regions have negative mitigation costs under all allocation regimes considered, as they benefit from emission trading. However, these regions also suffer from the most severe climate impacts. As such, the financial flows due to emission trading from developed to developing countries created under these allocation regimes could also be interpreted as compensation of climate change damages and adaptation costs. In the longer run, the sum of climate change damages, adaptation costs and mitigation costs are the highest in the poorest regions of Sub-Saharan Africa and South Asia, for both climate targets and practically all emission allocation regimes. The authors kindly acknowledge useful comments by two anonymous reviewers and thank Kelly de Bruin for providing the calibration of the AD-RICE functions and permission to use these for our study.